Inauguration Reception and Ribbon Cutting Ceremony Virtual Tour Grand Opening Celebration! 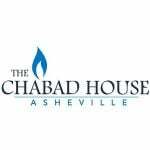 Chabad Day of Goodness & Kindnesss Proclaimed in NC City of Asheville Proclamation Chabad House Celebrates Its Grand Opening Contemplation, Atonement Focus of Jewish New Year Chanukah Interview About Chabad-Lubavitch Chabad of WNC Starts the Year on a High Note Orthodox but not Insular Audio Clip on Mission. Nice to Meet Jew. Passover 101 - Learn More!